Remains V // I see crowds of people, walking round in a ring. 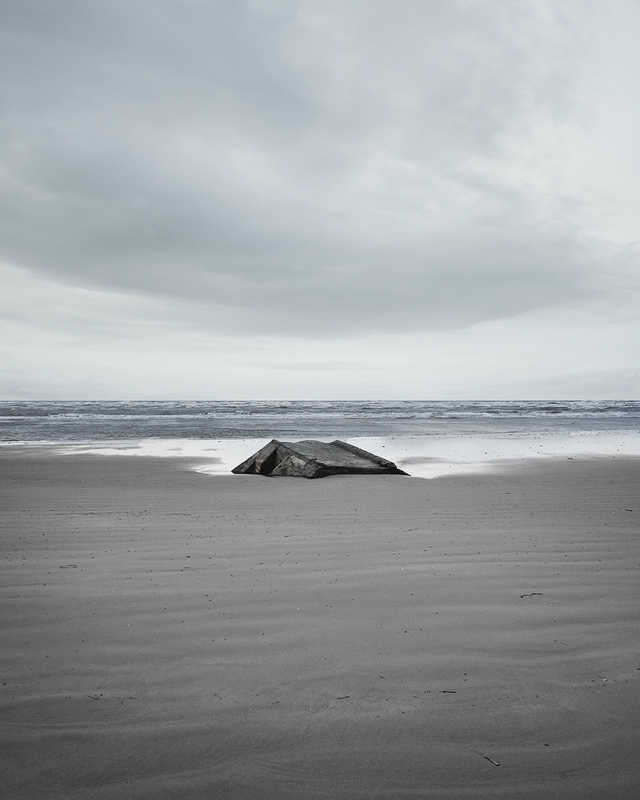 From the series Remains "The series Remains portrays a handful of World War II bunkers located on the Danish West Coast in the Oksbøl Military Firing Range close to Blåvandshug. The firing range is the largest of its kind in Denmark. The bunkers were part of the Nazi regimes Atlantic Wall, stretching along the coast from Norway in the North, all the way to the Spanish border in the South. Close to 5000 kilometres of concrete fortifications and other defensive measures. The bunkers exhibited in this series were all originally built in the sand dunes but are now, after decades of erosion and exposure to the elements, slowly being swallowed up by the Atlantic Ocean. It is unknown how long these relics will remain. For now they still stand as a strong reminder of the past."